Going for manicure, getting hand nails done, washing them, moisturising them and colouring them is a regular ritual for us. But what about the toe nails? They are pretty much ignored or taken care as a secondary feature mostly by all the women. It is time to give them a little priority. Here is how you can do it! Some of us love long toenails, but it can damage the shape of your feet. Pick up that nail cutter and chop those nails now. Keep them in proper shape so that you do not poke holes in shoes and bellies. If you moisturize your hands, ten times a day, why not feet. They also need moisture for staying soft. 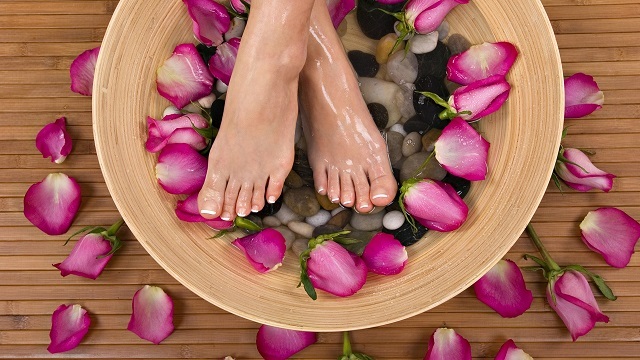 Apply generous amount of moisturizer right after taking bath on your feet and toenails. It will keep them from cracks and blisters. Do your feet smell? It can be due to dirty nails and bacterial or fungal infection. Like your hand nails, toenails can also have dead skin accumulation with dirt in pockets or around nail beds. Clean it using brush or pumice stone. 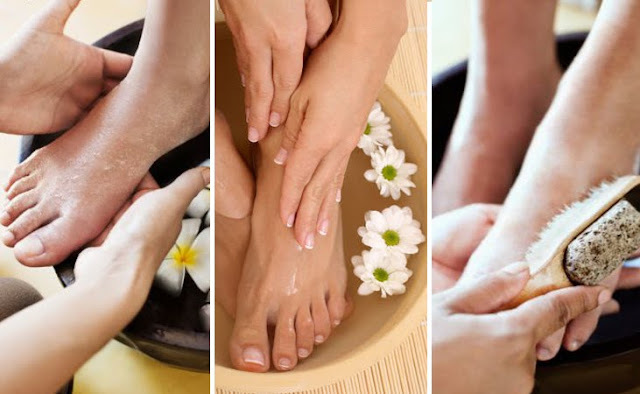 Go for regular pedicures for keeping your feet happy and healthy. Filing nails keeps them smooth, getting rid of cracks or chips in nails. Toenails also have chips and cracks so keep them at bay by filing them properly. Clean the corners well using the filer. You might love to wear bright and perky colors on the hand nails, but it is a big no no for feet. If you are not habitual of changing nail color every day it is better to use suitable colors like Dark blue, mint, soft pink, nudes, reds and soft whites. Wear right size shoes that keep your toenails cozy and comfortable. Wash them regularly. Keep them covered with socks in winters. Pamper them along with hand nails, with equal love and care. You might have been indulging into the very famous nail art trend. You can do this for your toenails as well. Check out these gorgeous toenail art ideas and try them on your toenails right now! Share your thoughts on this post on healthy toe nails with me.